Decades after mammographic breast screening programs were established, their value continues to be subject to hot debate, primarily about the magnitude and nature of the benefits and harms. The battle rests mainly on the chance of saving a life compared with the risk of “over diagnosis”, defined as the diagnosis of a cancer that would not without screening have become apparent in the person’s lifetime. The main problem is that it is not currently possible to differentiate the small number of non progressive cancers from those potentially more lethal, and therefore treatment is recommended for all, leading to some women receiving treatment that may not have been necessary. An independent panel of 29 experts from 16 countries convened by the International Agency for Research (IARC), an arm of the World Health Organization, has recently reviewed the available evidence and compiled a report assessing methods of screening for breast cancer, in terms of their efficacy in preventing cancer and of their adverse effects which was published in the June 4 2015 issue of the New England Journal of Medicine (1). Both sides of the screening debate agree that mammographic breast screening saves lives, but how many and at what cost, financial and otherwise, is disputed. Screening can however be thought of like insurance. It is the seriousness, not the likelihood of an accident that makes you pay your premiums. The small but vocal anti-breast screening minority, would, I suspect, ideally like to see publicly funded mammographic screening programmes dismantled. This is not going to happen. For a start, early detection is so intuitively attractive a concept. It resonates with the general public. A few years ago, when American authorities first suggested reducing the frequency of mammograms to two yearly and increasing the age of routine commencement to 50, as we have here in Australia, there was a public outpouring of outrage and a backlash of such mammoth proportions that the recommendations were rejected. The tribe had spoken; loud and clear. The IARC recommendations provide international backing for more recent draft guidelines on mammography released earlier in 2015 by the U.S. Preventive Services Task Force (USPSTF) which again ignited great controversy. 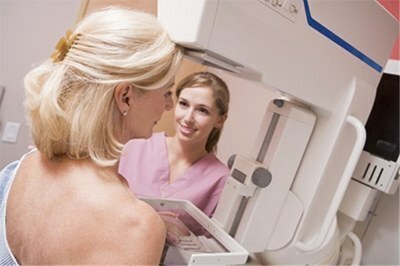 Screening opponents, made up predominantly of epidemiologists and academics, not practising clinicians, are also campaigning for more detailed information to be given to women about the potential downsides of screening, claiming that the potential advantages are overstated, and that the downsides are either underplayed or overlooked, in invitations to attend for mammographic screening. Don’t get me wrong, I agree entirely that women need and deserve clear, unbiased information on which to make the decision to attend or not for screening. Women can obviously elect not to attend, and unlike some other public health measures such as vaccination, as it is the individual alone, not the population as a whole, who may suffer if the chance of early cancer detection is missed, there is no public health duty to attend. Provision of such complex information in a form that is readable and understandable by a population with such varying degrees of knowledge is however immensely challenging. Prior to attending for screening, women must weigh up the small chance of a substantial benefit, that is not dying of breast cancer and thereby living longer, compared with the larger chance of either no benefit (except reassurance) or even an undesireable event. Breastscreen Australia attendance in the target age group 50-74 years runs at around 55%, but this does not reflect participation in mammographic screening overall, as many women screen outside the national screening programme through their clinicians. The lowest screening participation rates are in disadvantaged areas and amongst low socioeconomic groups. I’m going to stick my neck out here and take a wild guess that these women are not staying away because of the “ potentially delicate balance between benefits and harms“; those theoretical academic arguments are taking place around the dining tables of the chattering classes. We keep hearing that fifty is the new forty. Females of breast screening age are in the prime of their personal and professional lives and often at the peak of their earning capacity. Women are having children later, and many women receiving their first invitation to attend for a screening mammogram at age 50, still have children in primary school. These women are taking no risks. I see them every single day in my breast surgical practice. They are in for the long haul. They need to feel that they have taken absolutely every possible precaution, and do not want to face any potential regret or the personal recriminations associated with being diagnosed with a symptomatic breast cancer, that may have been detectable at an earlier stage, had they attended for screening. These women view breast screening as a way of avoiding that potential regret. Baby boomers are now in their sixties. They are in better health than previous generations and are eagerly anticipating and expecting long and healthy retirements. Failure to attend for screening is strongly perceived by these women as placing oneself at unnecessary risk of preventable death. For them, if the trade off is having treatment for a cancer that may or may not have proven lethal, then so be it. I have yet to encounter in my breast surgical career, a solitary woman who, having being diagnosed with an early, readily treatable breast cancer, expressed regret at having attended for screening because there was a theoretical chance that she may have been “overdiagnosed”. Screening has been likened to gambling, with only a small chance of winning big time. Unlike gambling however, those who don’t win, do not necessarily lose. Lauby-Secretan B, et al “Breast-cancer screening: Viewpoint of the IARC Working Group” N Engl J Med 2015; DOI: 10.1056/NEJMsr1504363.